What can be more convenient than being able to nip into the garden to pick some salad for lunch, some herbs for the pot, or some fresh veg or fruit for dinner? Nothing beats the flavor of home-grown produce, or, in these days of additives and preservatives, the reassurance of knowing what is in your food. Contrary to popular belief, you don't need an enormous garden, or a dedicated spot within it to grow your own, nor do you need to join the mammoth waiting lists for a local allotment; all you need is a window ledge, some steps, a patio, some wall space, or even some gaps in your flower borders. 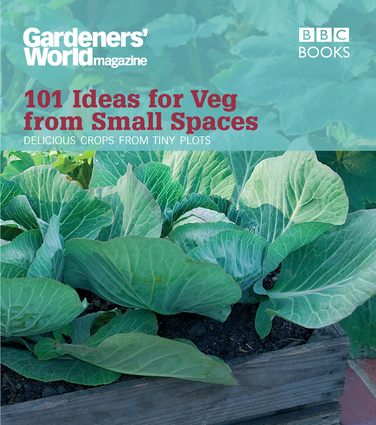 In this handy book, the team at Gardeners' World Magazine will give you loads of tips on how to get started if you've never grown fruit or vegetables before, suggest some fun and practical ways you can grow your favorite crops in a limited space or small garden, and tell you how to get the best from what you grow. Growing your own has never been more popular or more simple, and in this essential little guide, packed with inspirational ideas and advice from Gardeners' World Magazine, everyone can get in on the act. So what's stopping you now? Go on, grow your own grub! Gardeners' World Magazine is Britain's biggest selling gardening magazine, providing fresh ideas and clear advice every month. From plants and flowers to gardens and design, allotments and kitchen gardens, to shopping guides and tried-and-tested reviews, Gardeners' World Magazine features the top names in BBC gardening, such as Toby Buckland, Monty Don, Alan Titchmarsh, Carol Klein, Joe Swift, Sarah Raven, and the Gardeners' Question Time team.